Heartworm is a serious, potentially fatal disease for our pets. Prevention is easy, but treatment can be costly and difficult depending on the stage of the disease. 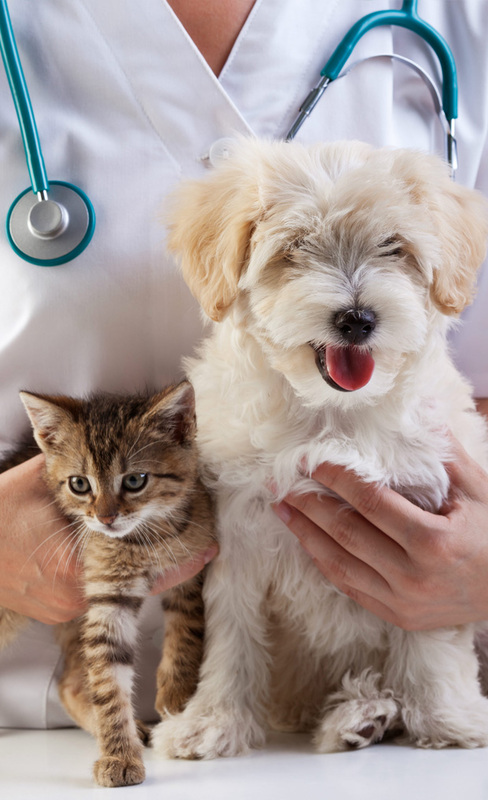 With heartworm season upon us, Pets In Need veterinarian and board member, Dr. Jack Walkenhorst discusses the importance of heartworm prevention in both dogs and cats. What is heartworm disease and how do our pets become infected? Adult heartworms are roundworms that live in the heart, lungs and surrounding arteries of infected animals. 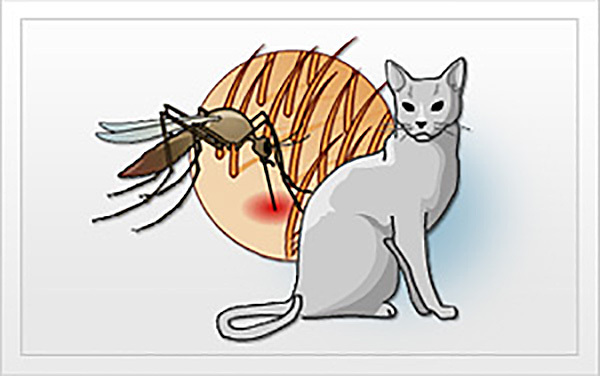 Heartworm disease is transmitted by a mosquito bite. 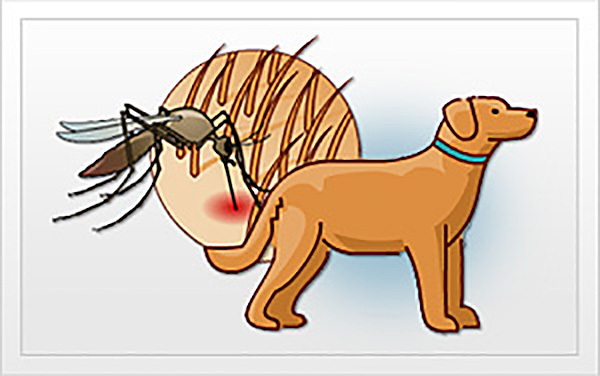 Mosquitos carry the infected larval form of the worm and transfer it to our pets. Once the larva have been transferred, it takes up to 7 months for them to mature into adult heartworms. The disease manifests differently in dogs and cats, but both pets should be on a preventative medication throughout the year to avoid the effects of heartworms, which can include heart failure and irreversible damage to other organs. All dogs are at risk for contracting heartworms if they’re not on a preventative. Although heartworm disease is more prevalent is areas with high mosquito populations, heartworm disease has been diagnosed in all 50 states. Dogs are natural hosts of heartworms, which means all heartworm larva contracted by the dog will likely mature into adult heartworms that live for 5 -7 years. Heartworm disease can cause lasting damage to the heart, lungs and arteries, which is why prevention is always better than treatment. Prevention is the only means of protecting cats from the effects of heartworm disease. Heartworm disease in cats is very different from dogs. The cat is an atypical host for heartworms, meaning heartworms can survive in a cat, but only a small percentage mature into adults. While cats are less likely to develop heartworms, cat owners should still consistently use a heartworm preventative because there is no medication to treat heartworms in cats, like there is for dogs. Many dogs show little to no symptoms during the early stages of heartworm disease. This is one reason annual testing is so important. Once the disease progresses, symptoms in dogs may include a chronic cough, lethargy, weight loss, and fatigue after moderate activity. If left untreated, heartworm disease can progress, causing irreversible organ damage and fatal heart failure. The good news is heartworms are treatable in dogs, although the treatment can be costly and difficult. Identifying the disease early is critical, so talk to your veterinarian right away if your dog has developed any of theses symptoms. Symptoms in cats are similar to dogs. Many will develop a condition known as heartworm associated respiratory disease (HARD). The symptoms mimic asthma and include coughing, wheezing, and labored breathing. There is no medication to treat heartworms in cats, but a veterinarian can confirm the diagnosis, start the cat on heartworm preventatives and monitor its health while waiting for the heartworms to die. Unfortunately, heartworms can also cause acute unexplained death in cats, which is why prevention is always the best option. Heartworms are easy to prevent in both dogs and cats. Your vet will prescribe a pill, chewable or spot-on liquid that protects your pet from heartworms and possibly various other parasites. Talk with your veterinarian to learn your prevention options and determine the best fit for your lifestyle and pets. Some people wonder if there’s a holistic or home remedy to heartworm prevention. Although there are some online sources that claim otherwise, there are no at-home treatments that have proven efficacy. 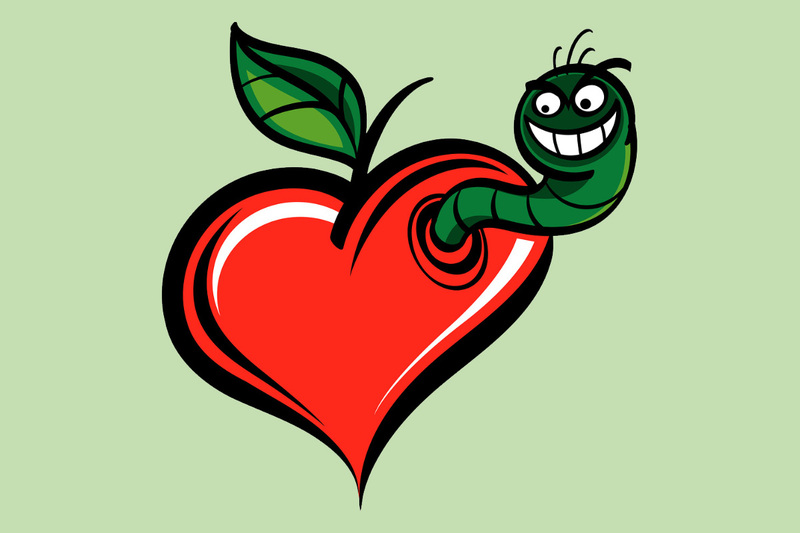 It can be surprising to learn that heartworm preventatives don’t actually prevent your pet from contracting heartworm larva. When your pet takes a heartworm preventative, it works to kill off any heartworm larva that made it into your pet’s body in the last 50 days. Therefore, if your pet misses just one dose of medication because you forgot, or they spit it up and you didn’t see, etc., any potential larva in your pet’s body will begin to develop into adult heartworms. If your pet contracts heartworms during the window of time that it was unprotected, any larva present in the body will likely be too mature to be killed by the next dose of preventatives. However, it will take up to 7 months for the larva to develop into adult heartworms that can be detected during a heartworm test. Again, this is why annual tests are so important. What should I do if my pet missed a dose? If your pet missed a dose or multiple doses of heartworm preventatives, it’s best to immediately re-start the treatment. It’s advised that pet owners schedule a heartworm test 7 months later, to detect any adult heartworms that develop from potential larva contracted by the pet while they were unprotected. Subsequent annual testing is highly recommended for dogs. All dogs 7 months of age or older should have a heartworm test before starting preventative. A heartworm test is not required prior to starting cats on heartworm preventative, but is recommended for cats showing symptoms of heartworm disease. Dogs should then have an ongoing annual heartworm test. If you have a new puppy, it’s advised to start them on heartworm medication immediately. However, the initial heartworm test isn’t needed until they’re at least 7 months old, because any larva they may have contracted won’t be detectable until they develop into adult heartworms.